Homepage » Computer Tricks » How to Automatically Save the Watched/Streamed Video on your Computer without Downloading it. How to Automatically Save the Watched/Streamed Video on your Computer without Downloading it. 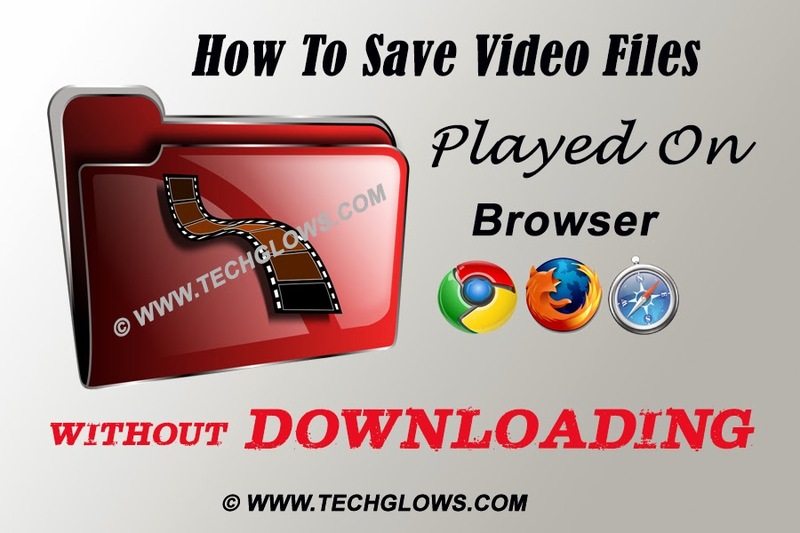 Ever came across a situation that makes you feel lazy after watching a video on Youtube or any other site to Download and Save it on your computer?Are you facing any problem while downloading a video from a site with no Download buttons?Do you want to Download the Flash (.swf) files from a site?Do you want to save a video copy of Live Streaming channels?How To Save Video Files Played On Browser without downloading? If your answer is “Yes” then this post will help you a lot To Automatically Save The Watched/Streamed Video on your Computer without Download it. How Video Cache View works? When we watch some videos on youtube or other sites they are temporarily stored in our web browser’s cache.They can be extracted from the cache folder but it’s complicated.This software (Video Cache View) automatically extracts the videos from our browsers and provides us an option to save the video file on our local storage (computer).It works finely on Most browsers like Mozilla Firefox ,Google Chrome, Internet Explore,Opera,etc.The file will be saved in FLV format and it can be played using VLC media Player. 2.Open the downloaded file and install it. 3.Now play the video on youtube or any othersite. 5.Select the file you want to save in your computer. 6.Right click on the file you want to save and click “copy selected files to”. 7.A Dialog box will appear asking you to set the destination folder for saving your files. 8.That’s it your video file had been saved in your specified directory.Just open it with VLC media player and enjoy playing the Streamed Video on your Computer without Download it. Note : After watching a video online ,If you had clear your browser’s cache then you can’t download that video.